Walking the streets of Harajuku gives you a sense of adventure. It’s a place where you can find surprises in every corner. An amazing place where you can dine, shop, play and explore the unique culture that can only be found in Japan. Harajuku is a haven for teenagers and you’ll often see them in groups wearing the same clothes and at times, even have the same hairstyles! With so many things to see and many places to visit, you will definitely love this wonderland filled with youthful glow and energy. Here are 15 interesting things that you can do in Harajuku! Takeshita Street is a famous street in Harajuku that is littered with fashion boutiques, clothes stores, restaurants, cafes and many other interesting shops. Teenage girls go to Takeshita Street to shop and eat. Take note that it gets very crowded during the weekends which makes the place almost hard to walk around. Having crepes in Harajuku is a must have experience. 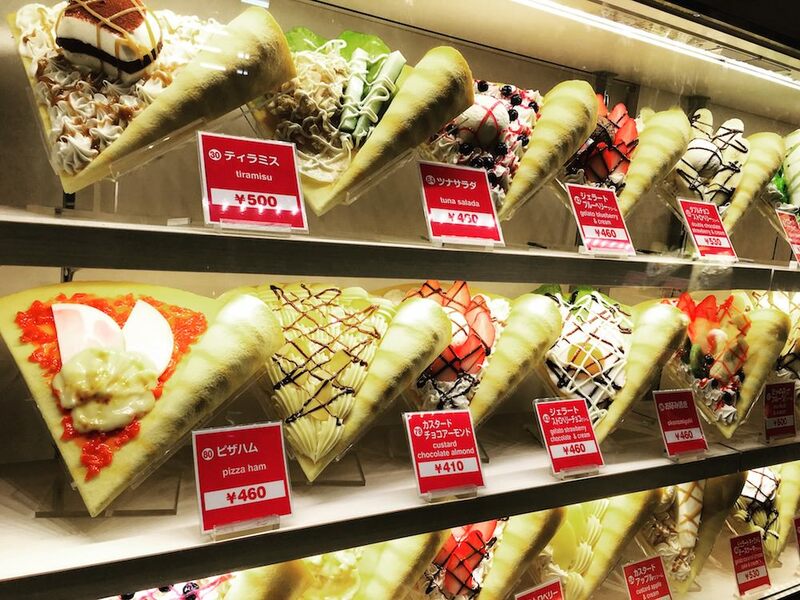 Eating crepes in Harajuku, especially Takeshita Street, is a must-have experience. There are about 10 crepe stands in Takeshita Street. The most popular flavors are banana chocolate with whip cream or strawberry with whip cream, but those with cheesecakes or ice creams are also very tasty. Some even say that the added mochi powder in their batter makes the flavor more tasty and the texture more chewy. Laforet is one of Harajuku’s landmarks. A great place to shop for the latest fashion trends and interesting clothes that will make you look good and feel good. Meiji shrine is built to honor the deified spirits of Emperor Meiji and Empress Shoken. It is one of Japan’s most popular shrines, and many people visit it especially during the new year’s first temple visit. Yoyogi Park is a 5-minute walk from Harajuku Station and one of the most favored parks in Tokyo. A place to have a relaxing stroll and escape the hustle and bustle of the city life. There are many events that are held in the park during the weekends like the Thai Festival and Hokkaido Festival. Where is the best place to take the kids in Harajuku? Of course, it’s none other than KIDDY LAND! KIDDY LAND have many shops that offer exclusive character goods in four floors. They also hold many character related events from time to time. A fun place to buy toys and let the kids have fun. It can get very crowded especially during the weekends. Cat Street is one of the “less crowded” streets in Harajuku that have many interesting shops. Though there are not many shops in this area, there are still plenty of things to buy if you’re looking for a different alternative from the norm. 6% DOKIDOKI and Kawaii Monster Cafe excludes everything that is Kawaii! Kawaii means cute in Japan and without a doubt, you’ll find plenty of cute things when you visit these places! Omotesando Street is well known for their light illumination especially during the winter season. It’s a great place to stroll and see the many beautiful light decorations that are only seen during this time of the year. Looking for things to buy? Visit DAISO and get everything for ¥100! A great store to visit if you’re planning to buy things in BULK. They have everything from stationaries, kitchenwares, plants, snacks and even the cheapest souvenirs! 11. Fatten Yourself with Pancakes! Who doesn’t love to eat pancakes? Harajuku has plenty of stores where you’ll find the fluffiest and best-tasting pancakes that you had ever tasted in your life. Feel free to add some honey or jam to make it taste even better! 12. Taste best foods in Harajuku! 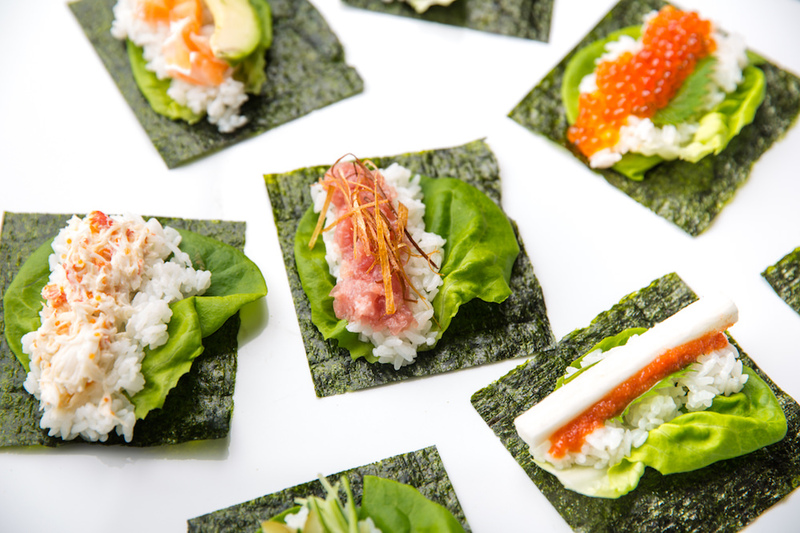 - A new style sushi restaurant Gonpachi NORI-TEMAKI Harajuku is worth a visit! Yoyogi Gymnasium holds many events on a weekly basis. This is the place to go if you ever want to watch sports games, concerts and other special events that you had never seen or experienced before. 14. Grab Candies at Candy A Go Go! If you’re craving for candy, then head straight to Candy A Go Go! A specialized candy store where you’ll find hundreds of sweet tasting goodies that is bound to satisfy your sweet tooth! Moshi Moshi Box Harajuku Information Center is dedicated to helping tourists find the best places in the area. Not only that, but it also serves as an entertainment center where you can enjoy Karaoke and buy some souvenirs to take back home.